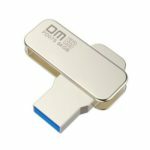 This USB 3.0 flash drive adopts imported A level Flash chip, providing faster and more stable data transmission. 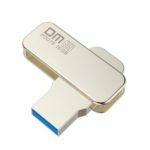 Full USB 2.0 backward compatibility ensures seamless data sharing among various devices supporting both standards without unwanted loss of data. 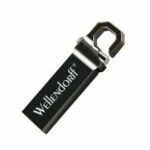 Read/write performance can be multiple times faster than traditional USB 2.0 flash drives. Capless design with a hanging hole, portable to carry. Store and transfer documents, presentations, music, video is quicker and easier. The data transmission speed is up to 5Gbps, and backwards compatible with USB 2.0. 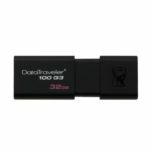 Provides faster and more stable data transmission. 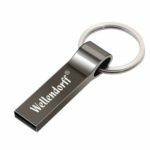 Capless retractable USB connector to prevent accident damage, save you from losing the cap. With a hanging hole on the top for easy carrying. Dustproof, anti-static, magnetism and high temperature resistant, durable for use, well protect your data, files and etc. Compatible with tablets, PC, laptops, car stereo and other device with USB ports, plug and play, no driver needed.